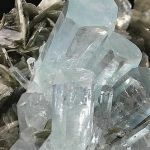 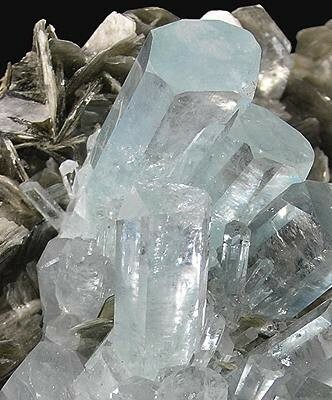 A cluster of over a DOZEN GEM CRYSTALS of aquamarine, a very classic aqua blue, extremely gemmy and glassy and all wonderfully terminated (they are more transparent than they look in the pics - just hard to shoot and capture both luster and clarity because they reflect so much light from the surface!!!). 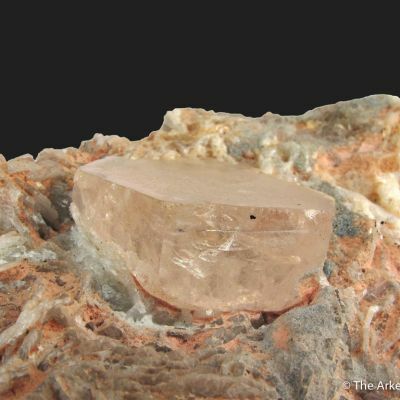 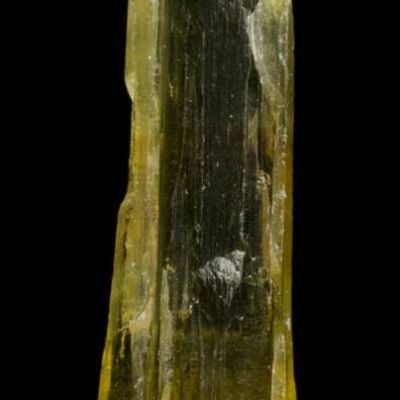 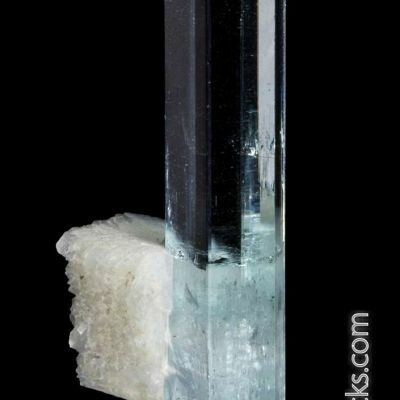 They are clustered at the edge of a pretty matrix of large, thin books of bladed muscovite. 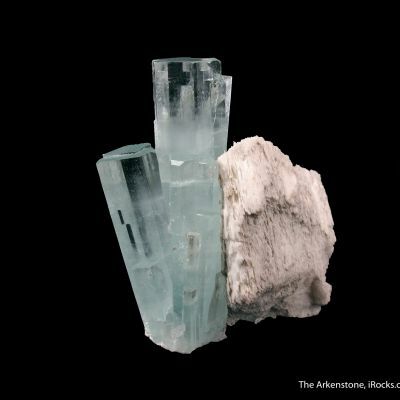 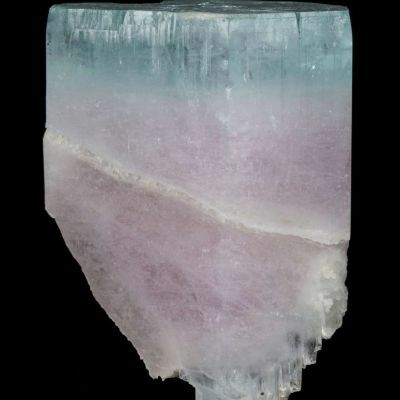 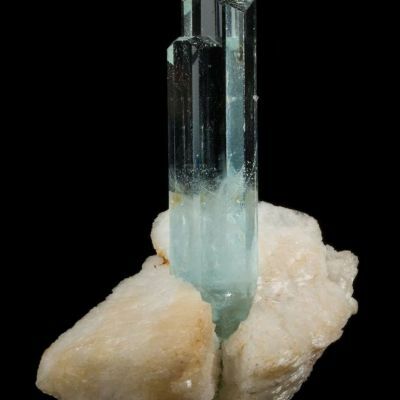 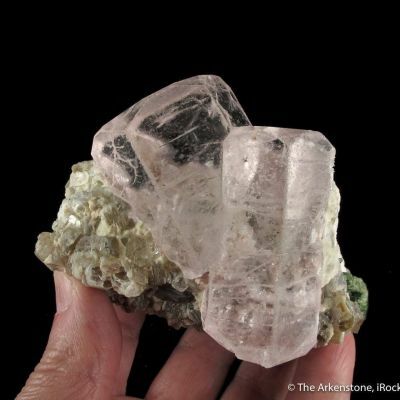 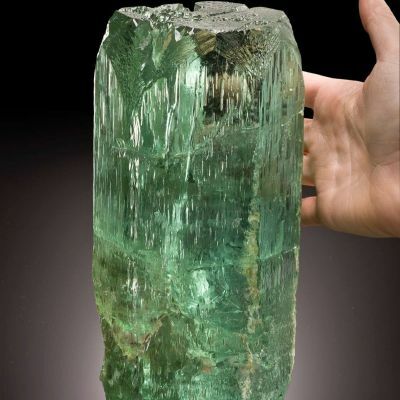 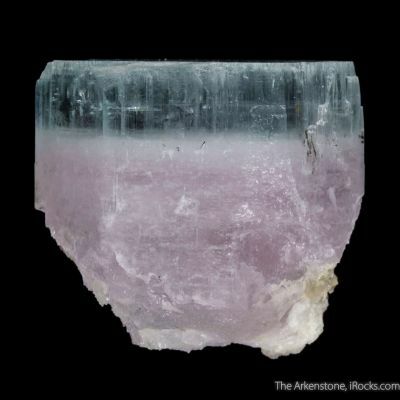 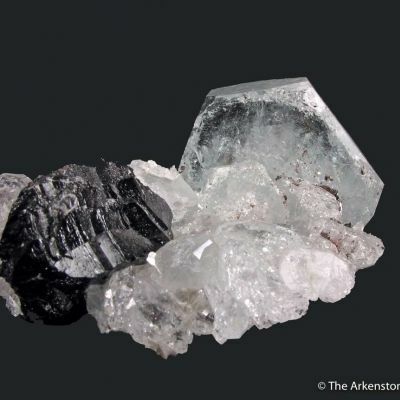 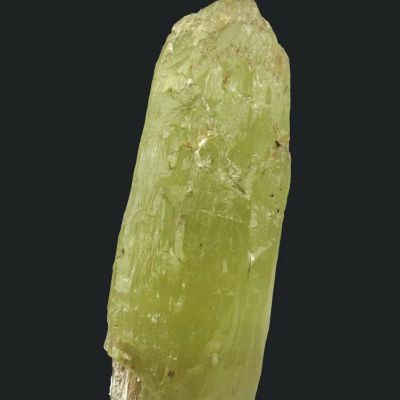 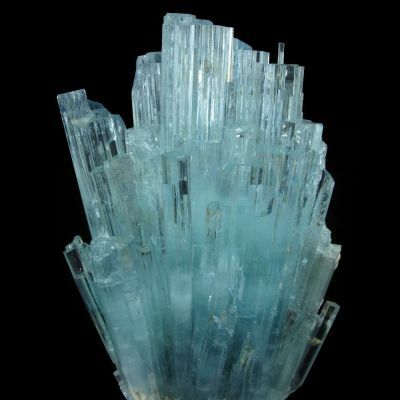 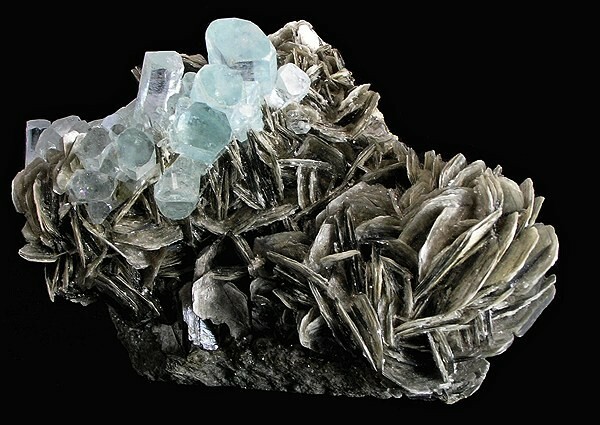 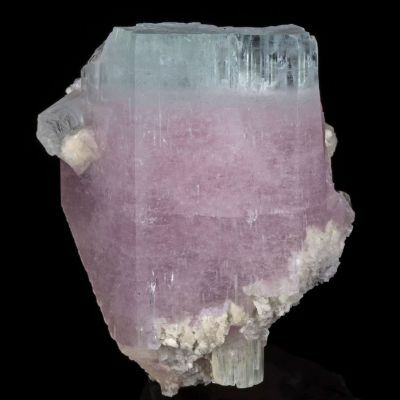 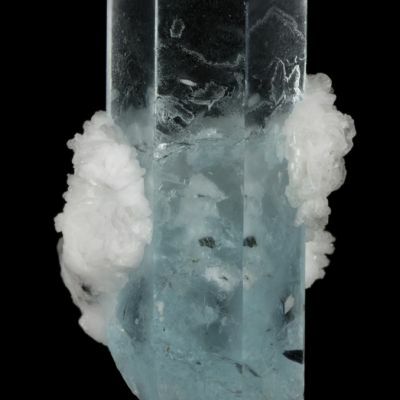 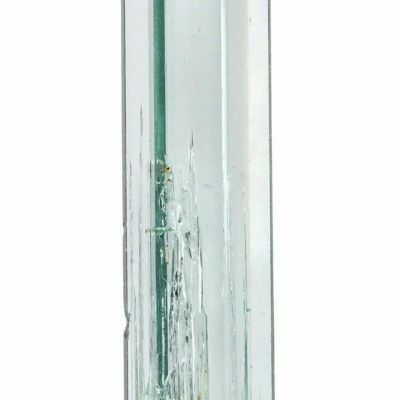 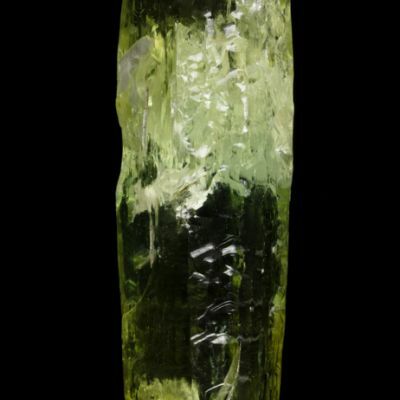 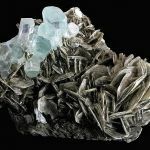 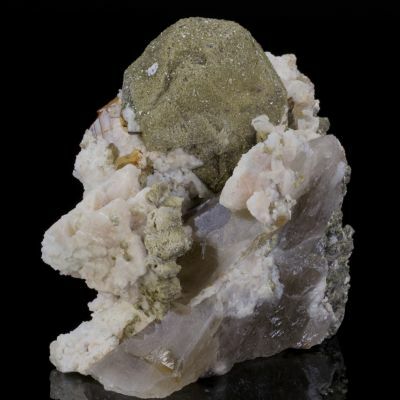 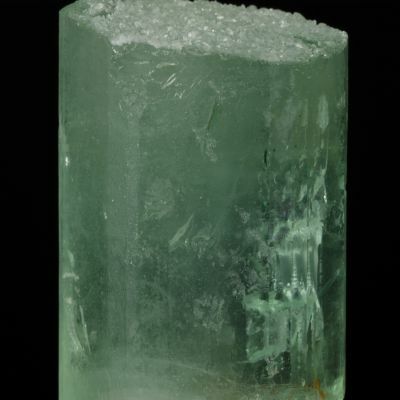 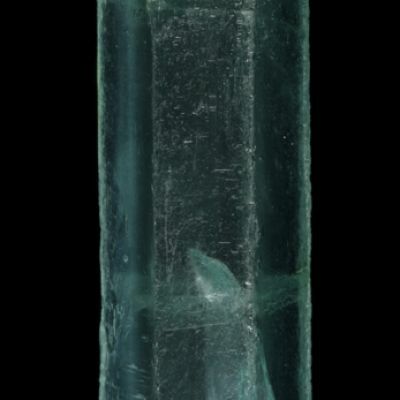 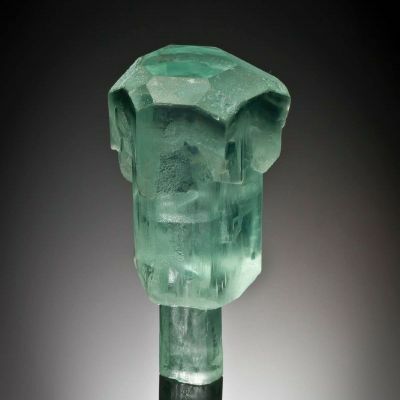 The largest aqua measures 3.5 cm in length, so this cluster of gem crystals is sizeable!